You can sell us a book even if you didn’t buy it at the MCC Bookstore. All you need is a photo ID and the textbook, you may get up to 50% back of the textbook’s retail value. BUYBACK IS NOT GUARANTEED. We buy the books we need for the following term, and we also buy for an outside used book company (which sets prices at national market value, usually much less than 50% of retail). The titles we buy are based on supply and demand at our college and in the textbook market. If your book is in demand, there is a set number of books we will buy back for that title. Once we meet our quota, we stop buying that title for that term. Sometimes a book becomes an old edition and we can’t take it. Sometimes you simply need to check back another term. 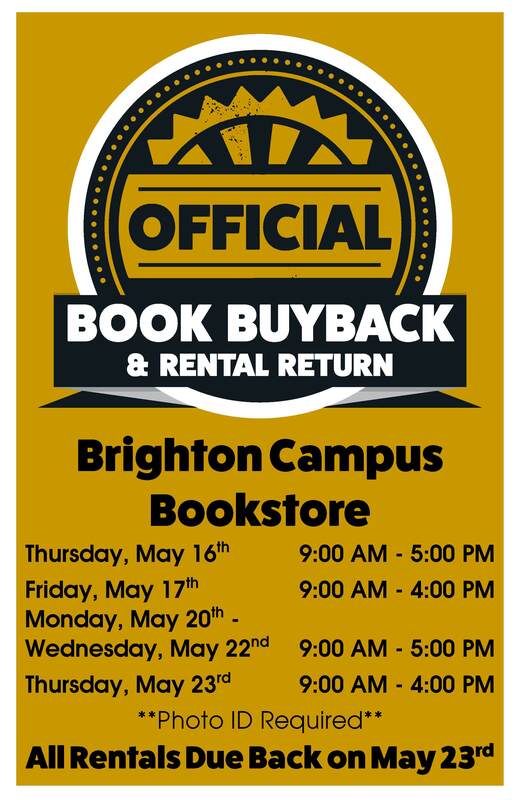 If you have missed the in store buyback you may sell it online on the Online Buyback Page. On the Online Buyback Page you can search by ISBN to find out what your book is worth. You may Enter multiple book ISBNs separated by commas or spaces to search for more than one book at a time.